Beans, beans the musical fruit, the more you eat the more you… The history of Boston Baked Beans is rooted during the time of the Triangular Trade. Sugar cane was imported to Boston and made into sugar. A by-product of this process is molasses, which is used to sweeten the baked beans unique to Boston. B&M is known for making authentic Boston-style baked beans. I was happy to find these on the shelf at Wegmans. I spread the molasses sweetened sauce on the pre-baked crust, then sprinkled on mozzarella cheese, sauteed onions, bacon and finally the beans. We are a bean loving family so we definitely enjoyed this pizza. 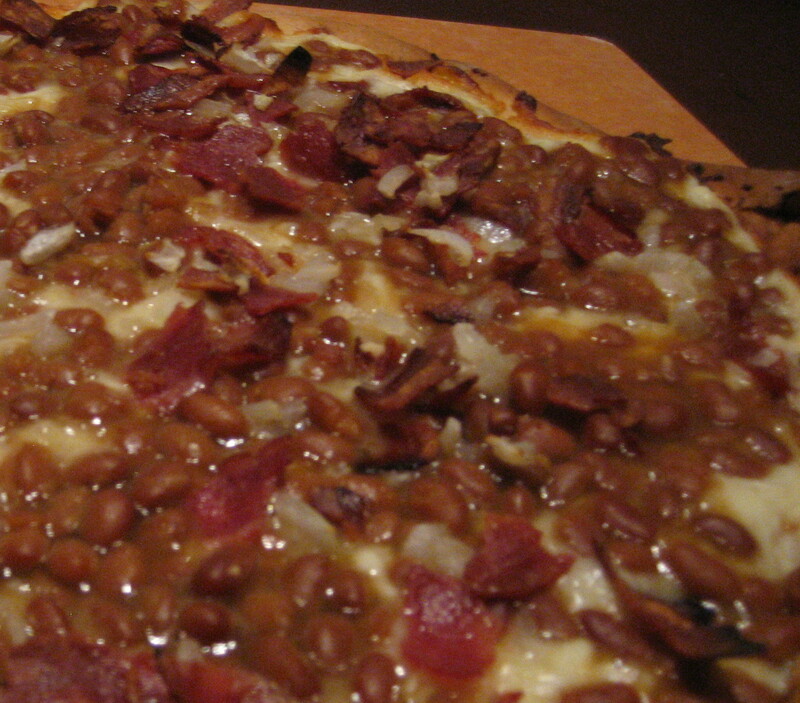 Bacon, onions and beans always taste delicious together and so did my Boston Baked Bean pizza recipe.